There are many benefits to PaliTutor. But one of my favorites is meeting many wonderful families each with varied backgrounds and sports interests. Our newest students are a pair of twins, Paulina and Madison. 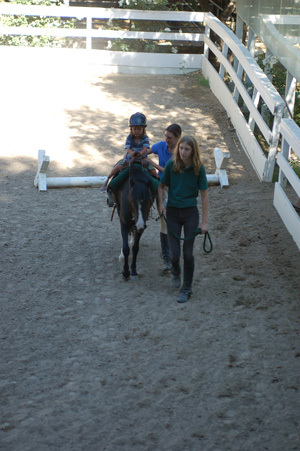 The girls offered Logan a pony ride lesson at Mill Creek Equestrian Center in Topanga Canyon. Logan has ridden ponies before and had two at his first birthday party. But no ride was as impressive as the lesson at Mill Creek. 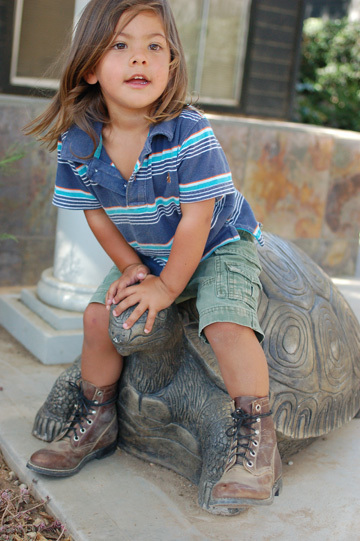 Logan was fitted with a pair of riding boots and a skull cap. Paulina and her friend Brittany showed Logan how to saddle the horse and how to sit correctly in the saddle. The girls instructed Logan in getting his little feet into the stirrups, showed him how to hold the reins and the saddle horn and then led the pony to the corral. While walking around the corral, the girls taught him when to lean forward when jumping and they held him snuggly while the pony trotted. This lesson was the most exciting class he has ever taken. Thank you for an amazing class girls! We will back for more. 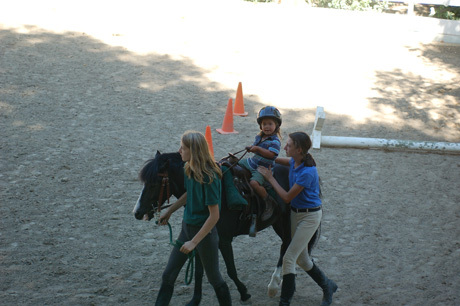 Paulina and Madison lead pony ride lessons all week during the summer. Contact us for scheduling. 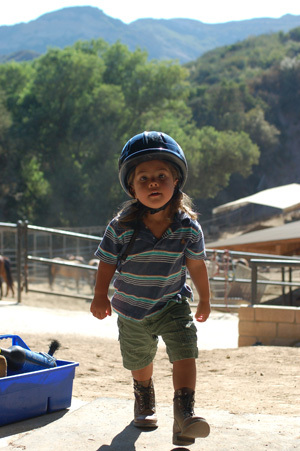 Mill Creek Equestrian Center is located in Topanga Canyon. Logan is an amazing kid with great parents! I love the pictures. I hope I can spend some time with “Cowboy Lo” soon. Wow! Look at my Gr8 nephew Logan ride! He is a natural born horse rider! See you soon Lolo!